Now this is good parenting. 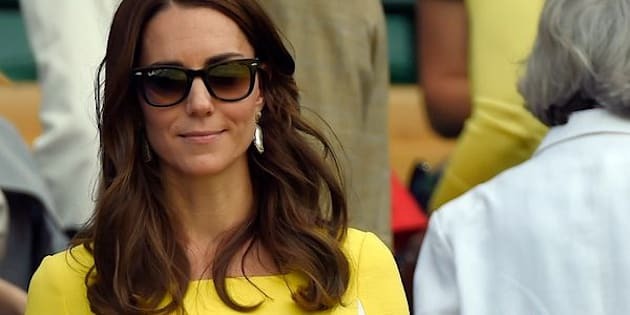 Catherine, the Duchess of Cambridge shared a message about mental health on Sunday, saying that she and her husband Prince William would absolutely encourage their children to seek therapy if they were struggling psychologically. The duchess, formerly known as Kate Middleton, also called for more understanding when it comes to mental health disorders. “No parent would fail to call the doctor if their child developed a fever, yet some children are tackling tough times without the support that can help them because the adults in their lives are scared to ask,” she said in a statement. The duchess made the comments during the launch of a new children’s mental health podcast called “Child in Mind” from the Anna Freud National Center for Children. The series will provide parents with information on how to monitor and help their child’s mental well-being. Earlier this year she also launched Heads Together, an initiative benefiting mental health awareness, with Prince William and Prince Harry. She also advocated for more compassion and research during Children’s Mental Health week back in February. Approximately 20 percent of children in the U.S. are currently experiencing a diagnosable mental health disorder or will have one at some point in their lives. Yet negative stereotypes surrounding mental health may stand in the way of caregivers seeking treatment for their children. This is what the royals are hoping to change. “Throughout my work with family and child support organizations, one thing that has stood out to me time and again is that getting early support for a child who is struggling to cope is the best possible thing we can do to help our children as they grow up,” the duchess said during the podcast’s launch. “Knowing this, both William and I feel very strongly that we wouldn’t hesitate to get expert support for George and Charlotte if they need it,” she continued.